Wow, 2017! Here we are! Lots of changes happen with each passing year, and I feel grateful to be able to document it all on The Bella Insider even after all these years. As you might know, this blog is almost six years old (say whattt?!) but it's been about one year since re-launching as a college lifestyle blog with exciting, colorful content surrounding the craziness of my college years. Since the beginning of 2016, y'all have built a social community of over 4K+, established a monthly readership of over 10K+, and created an overwhelmingly positive group on The Bella Insider that gets me excited to create content weekly. I can't thank you enough for continuing to push me both technically and creatively on this blog. It is exactly the kind of outlet I need to encourage me to be a role model in my community, continue to pursue my challenging major, and be excited about things happening outside the 40 acres of my college campus. From documenting my time living alone this summer to amazing opportunities to work with Teen Vogue Magazine and even my favorite Texas grocery chain H-E-B, I am so glad to have all of you here on this journey with me. While 2016 was a challenging year in terms of my studies, I am beyond gracious for the many lessons I have learned in life, love, and faith. With a little more trust and a little less "I need things to go my way, and my way only", I think only good things can come out of this change of heart. Going with the flow is something I'm still learning to do, but this year, I learned that letting go of what I can't control is exactly what I need to work productively, prioritize my well-being, and care for others as best as I can. I know 2017 will come with its own pressing hardships and challenges, but you know what? I'm ready. I'm ready to make some changes, and I'm ready to embrace change, if so be it. Here on The Bella Insider, I'm hoping to upload monthly video content (you can hold me accountable now!) and see new faces around here. I'm challenging myself to prioritize my health with seven hours of sleep per night and weekly workouts with friends, so I can feel, work, and live my best. I'm also hoping to read over my sermon notes more often (because what's the point of writing them if I don't ever look at them again?!) Lastly, I am challenging myself to pursue my creative interests like brush lettering. (I just bought some art paper and some bright markers to get some practice!) I can't wait to see what this next year brings. Thanks for following along on, and I'll see you later this week! P.S. Isn't this collage so cool? Instagram is my favorite way to connect with all of you, and these nine photos were your favorite photos of 2016! If you're interested in receiving a collage of your top posts from 2016, be sure to check out this website on how to get your own. Also, be sure to stay tuned at @sarah_thebella! Woohoo! Way to go Sarah. Love this! Your blog makes me so excited to start college in the fall!! Keep it up, Sarah! 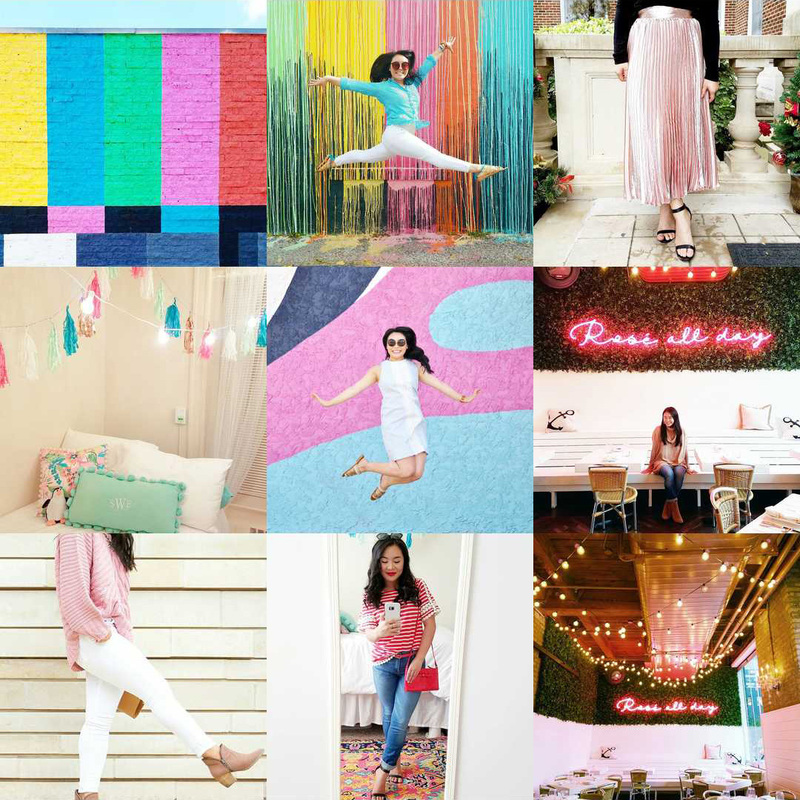 Your blog is adorable and I love reading your content and following you on instagram! !